The personal training and fitness franchise operator confirmed this week that it has appointed digital agency, Webling, to transform its digital website and offering with the ambition of providing members with a more seamless user experience across their fitness journey. 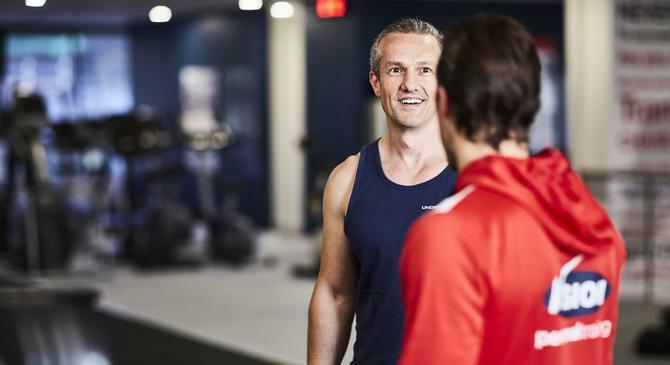 Over the next four weeks, the company also plans to roll out new recruitment websites targeted at growing its team of personal trainers and franchisees. The ambition is to nearly double the number of studios from 58 to 100 by 2020. Vision PT head of marketing, Rebecca Carson, told CMO the group’s website up until now had been a hard sales tool rather than an engagement vehicle for members, trainers and franchise owners. “We have also been growing internally as opposed to looking at external franchising opportunities. Vision is renowned for having a career path that develops trainers into senior trainers, studio managers and eventually studio owners, so we hadn’t put an emphasis on that external growth until now,” she continued. Having joined Vision PT in January, Carson said she realised quickly that the digital presence didn’t adequately reflect the group’s unique points of difference against other fitness competitors. So she set about bringing together disparate teams across website, marketing, SEO, SEM and IT operations to get things firing. Vision PT has been around for 20 years and started a franchising model in 2001. It also actively fosters the career path of personal trainers. The first phase of digital work, due to go live in the next two weeks, will see new landing pages for current and prospective members showcasing Vision PT’s fitness services, as well as its emphasis on nutrition and fitness education plus community, Carson said. These pages will include information on events and are designed to make it easier for users to find the wealth of content produced by Vision’s trainers, she said. The second phase of work, due to be completed by the end of October, will be new trainer and franchise recruitment pages aimed at highlighting Vision PT as an employer of choice and its profitable position in the fitness provide ecosystem. “We want to provide a window into the Vision PT world,” Carson said. “If it’s for clients, we want to tell them about everything we do over and above exercise – nutrition, education and more - and giving them a window into why we’re different. Across all of the work, capturing leads is vital, and applications from prospective staff, as well as consumers looking to participate in shopping tours or other Vision events are key components of the build, Carson said. “Our consumer experiences weren’t as highlighted previously… this will allow us to capture more lead information through those recipes, content and event experiences than ever before,” she said. The digital changes, along with growth plans, require a wider strategic shift for Vision’s marketing and go-to- market approach. As well as hiring in further talent into Vision PT’s marketing and digital capability, Carson said she’s building strategic external partnerships, bringing on Webling as a digital agency, along with Switched on Media for specialist SEO and SEM services and Filtered Media for PR and social. Webling is part of the WPP AUNZ marketing communications group.